Hey! Hope you're all doing well! 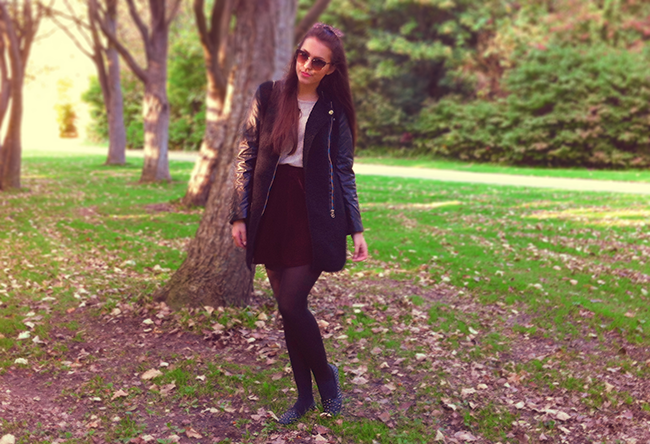 It's such a lovely autumn here in Denmark, the weather is amazing! It's even too hot to wear a coat, but I couldn't resist wearing this one I got from Chicwish a couple days ago. What's your autumn like where you live? I hope it's as lovely! Lovely pictures. We must savour in as many sunny days as we could. 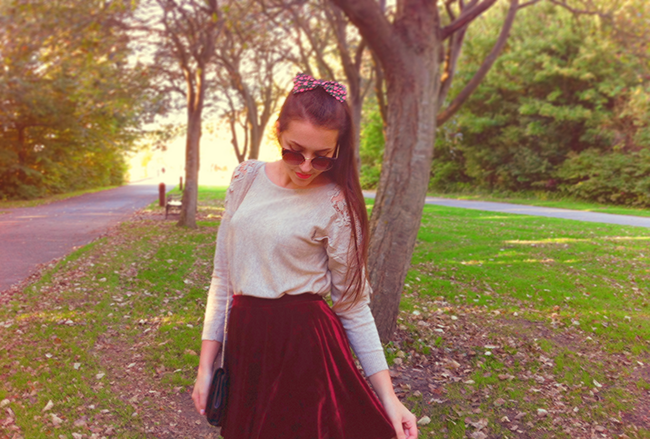 I love the velvet skirt! 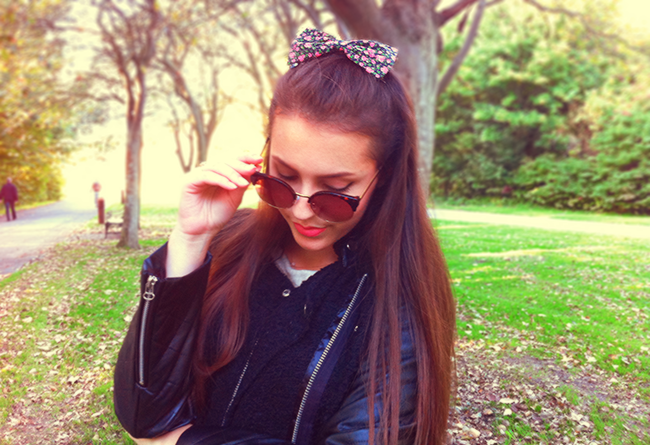 The bow <3 so cute! I love love love the look ! So pretty ! You look amazing! Here in Italy, the weather is even good. 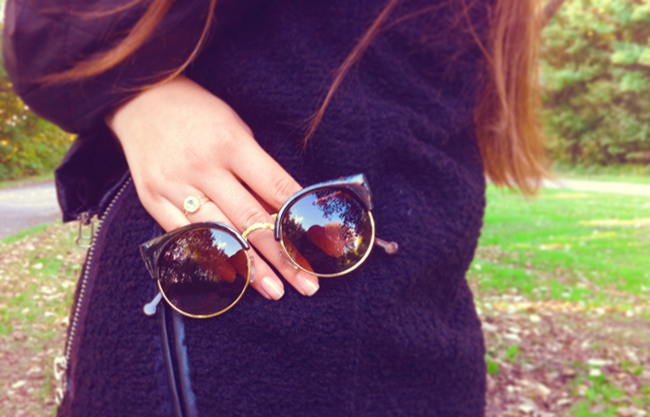 Your outfit is perfect! I love skirts and i have one like this! 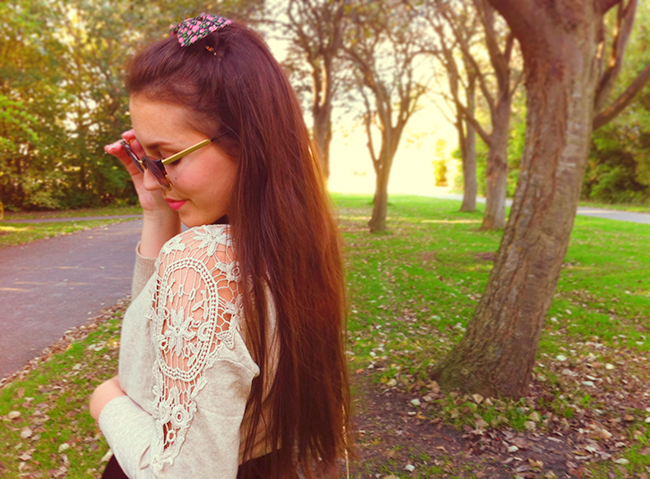 So pretty,the glasses are my favourite! Great post but where is the sun? Sound of leather sleeves jacket is looking cool, great blog like to move on with you. really like your all post and all outfits. she is looking very nice. so pretty her dress is according to new fashion.I like her matching?